Time to start a new book! This is my first Stillman and Birn Alpha book. The paper is the same weight as the Epsilon I was using before, but it has more grain. I chose to break the curse of the first blank page by drawing some of my kit. 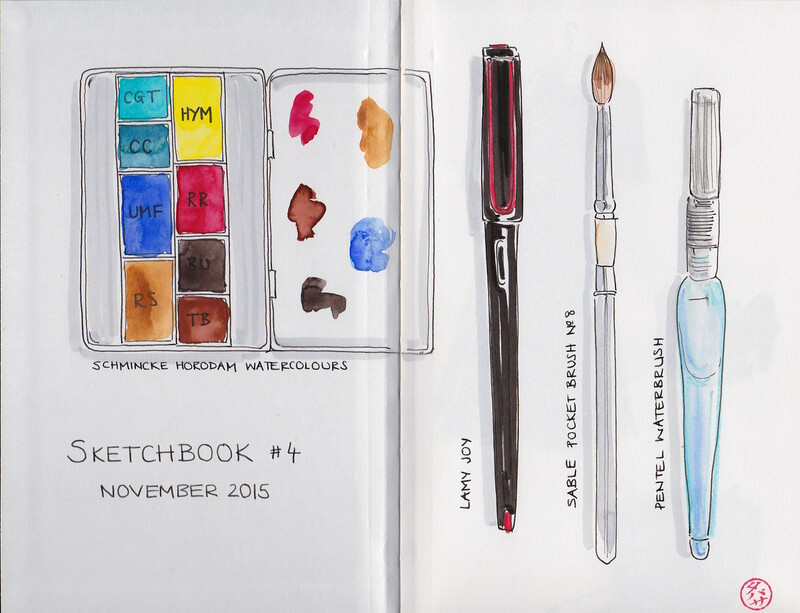 My small watercolour kit is shown, alongside my favourite pen, brush and a handy water brush. The little stamp in the corner of the page is a Japanese hanko, which shows my name transliterated into Japanese characters (something like ta-ba-sa!). If you would like one, I would highly recommend this trader on Etsy: DancingCraneHanko.